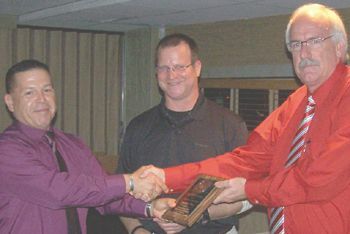 Rubin Leal (l.) accepts the Firefighter of the Year Award from Chief Alan Kulak (center) and E.S.D. 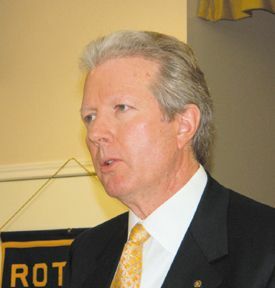 80 Secretary Randy Foster. 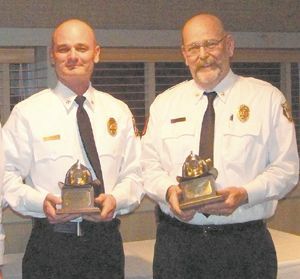 Among any number of fine men Leal stood out among his comrades as recognized by his fellow firefighters as best exemplifying the high standards of the department that services a district of over 30,000 people, aiding surrounding areas. Chief Kulak was recognized for 30 years of service to C.V.F.D. Kulaks initial release papers from his family were signed when he was 15 years of age, volunteering to work as a firefighter at age 16. His legend among Crosby firefighters has him initially arriving to battle blazes in a go-cart. Highlands Rotary heard recently about the role Lee College plays in the community, presented by Board Member Don Coffey. 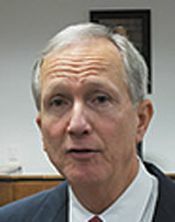 Judge Coffey has been a board member since 1984. Coffey said that Lee College started as a post graduate study program of the Goose Creek school district, in 1934. It was only the second community college in the whole state of Texas. In 1950, they decided to build a separate campus on the present site. It has grown to its current $50 million dollar yearly budget, and now has students in academic and vocational programs. In February, Lee College will get a new president, Dr. Dennis Brown, coming from El Paso Community College. Brown was the choice of 39 applicants for the position, Coffey said. Programs at the college include continuing education as well as academics and vocational. 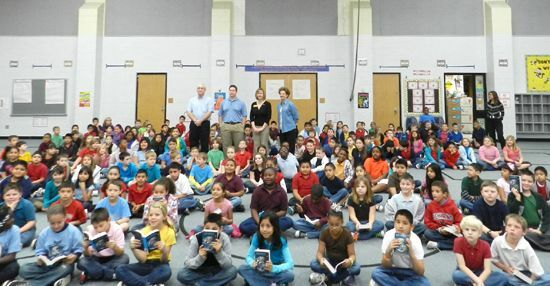 Goose Creek CISD is the only local school district that is affiliated with Lee, and therefore residents get a reduced tuition rate as in district students. Many of the students at Lee to on to high paying technical jobs in the refining industry surrounding Baytown. If they stay with these companies, they retire with pension plans invested to over a million dollars, typically. Therefore the college has been very good for the community and the job opportunities. Recent construction at the college includes a new $17 million dollar Performing Arts Building, paid for by Tuition Revenue Bonds. The building includes a 700 seat theater, a 150 seat black box experimental theater, and a concert hall. Lees athletic program includes basketball scholarships, and a new volleyball program. Other new facilities include a Library and Resource Center. Coffey recommends the Arena and Wellness Center as outstanding facilities which are open to the public. He said that many Lee College students continue their education at full four year colleges after their time at Lee. The Goose Creek Consolidated Independent School District Board of Trustees will hold a public hearing regarding the proposed single-member Board of Trustees redistricting plan for the district. The hearing will be held in the Board Room of the Administration Building, 4544 Interstate 10, at 6:30 p.m., on Monday, Jan. 23. The new districts are for school board representation, not school attendance zones. By law, government bodies including school boards, county commissions and state legislatures, must redraw their lines when new Census figures come out. They also must ensure that there is appropriate minority representation. The Board hired Dr. Robert Stein of Rice University to analyze Goose Creek CISDs current distribution of population by trustee district and to offer a redistricting plan for new trustee districts. The 2010 Census information analyzed by Dr. Stein indicated that the current distribution of residential population is not in compliance with the requirement of an equal distribution of residential population across the districts seven single member school trustee districts. Dr. Steins team has designed a redistricting plan that remedies the population variations in the current districts. The board has yet to approve any redistricting plan. Once a new map is approved, the Board will send it to the U.S. Department of Justice for preclearance. The new districts for school board representation would take effect for the May 20113 election, when Districts 1, 2, 4 and 5 will appear on the ballot. 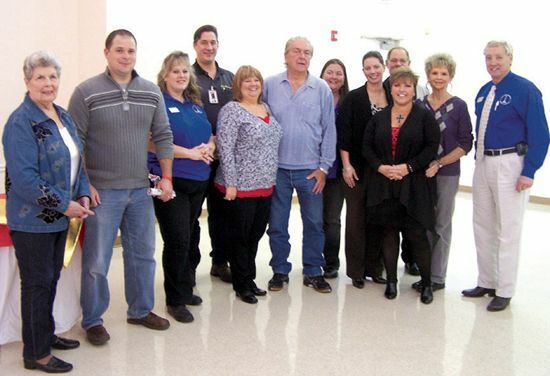 Board members now serve four-year terms. CROSBY  The local school board reviewed a new Athletic Director and Head Coach on Tuesday. 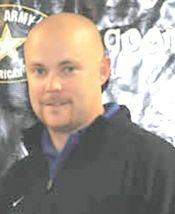 Jeff Riordan, 33, has been offensive coordinator at Sulphur Springs, and he is to take the post vacated by Kevin Flanigan on February 1. This is Riordans first head coach and athletic director job. His wife is Mandy and their children are Jonah, 6 and Kendyl, 4. According to Superintendent Dr. Keith Moore the search for a new coach included a coach with all the features that the board was seeking. I believe that Coach Riordan has the abilities to do both jobs and do them well, stated Dr. Moore. I had told everybody that I was going to move fast to fill this position but move as slow as needed to fill the position, I feel that this process went well. Dr. Moore responded to questions about the quickness of the search and finding the key post in athletics for the district. Over 150 resumes were reviewed by the Superintendent and staff. Coach Riordan sports a state championship ring won when he was offensive coordinator with Sulphur Springs. He has been offensive coordinator for the Sulphur Springs Wildcats for the last six seasons. As Head Coach, Riordan takes the reigns after the Cougar football team went 6-5 last season. A little reseach indicates that he was coaching in 2008 when the Sulphur Springs Wildcats defeated Dayton in 2008. He was also a track coach. Riordans coaching career dates back to football and track as an athlete at Austin College. He then went to Garland Lakeview Centennial and served as Offensive Coordinator. Harris County Pct. 2 is planning to repave a number of Highlands streets in the next few months, according to Commissioner Jack Mormans office. The project is known as Better Streets 2 Neighborhoods, and will cost about $1 million dollars of county funds. Highlands is one of three Pct. 2 neighborhoods to warrant this repaving, according to an on-site assessment by Morman and Roads Director Jack Rodriguez. These streets have not had any repairs or repaving in over 30 years, and work on them now will protect the precincts investment in the future. The asphalt paving will be an overlay, but base repairs or chipping will be done when required, Rodriguez said. According to Jack Rodriguez, Senior Director for Roads/Bridges/CIP in Pct. 2, Commissioners Court will be asked to approve the project at their next session, and the bids will be recieved in February, and paving could start by March, with completion in about 60 days. Harris County Attorney Vince Ryan announced last week that his office filed suit against several companies for allowing dioxin to pollute the San Jacinto River for a period of over 45 years. Ryan will seek compensation to complete the permanent remediation of the site. The Defendants in this suit are International Paper Company, Waste Management, Inc., Waste Management of Texas, Inc. and McGinnis Industrial Maintenance Corporation. The Countys lawsuit contends that in 1965 a Waste Management company disposed of highly toxic waste from International Papers nearby paper mill into waste pits located on the shores of the San Jacinto River. The toxic contents of these pits leaked into the River for decades. The companies eventually abandoned the waste pits, and over the years portions of them became submerged below the San Jacinto River. Because of the health risks caused by the dioxin, the State of Texas has issued a consumption advisory for crab and all species of fish from the San Jacinto River, warning women who are nursing, pregnant or who might be pregnant and children under the age of 12 not to consume any fish or blue crab from the area. It has also advised adults and children to avoid the risk of exposure to dioxin through skin by not camping, fishing, or picnicking near the San Jacinto River where the toxic waste ponds were located. According to the County human and ecological health continue to be threatened by releases of dioxin. When I took office, I asked community residents and leaders to name one thing I could do to improve the environment in Harris County. Cleaning up the San Jacinto River Waste Pits was, without a doubt, the thing almost everyone agreed upon said Ryan. In 2008, at the urging of the Harris County Attorney, Commissioners Court and others, the San Jacinto River Site was added by the EPA to the Superfund National Priorities List for clean up and the EPA is currently working to determine how to remediate the dioxin contamination. Texas law permits the County to file suit seeking penalties of up to $25,000 per day for each and every day the pollution occurred. It also provides for injunctive relief and can be used to require the companies to fund environmental projects that will assist the citizens of Harris County to learn about and respond to the dioxin in the river as well as address environmental damage not covered by the EPA action. Harris County is represented by Ryan as well as Terry ORourke and Rock Owens of the Office of the Harris County Attorney, and the Houston law firm of Connelly, Baker and Wotring, LLP.